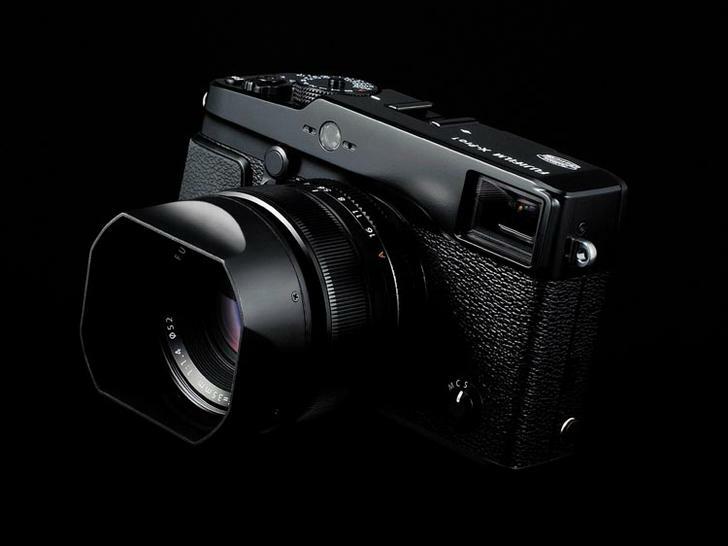 The Fujifilm X-Pro 1 is widely considered to be a design that has been inspired by the Leica M9 with a dose of refinement done by Fuji. 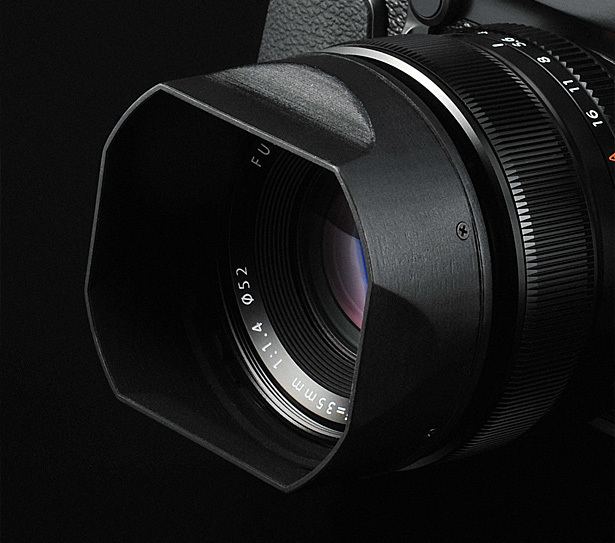 Many of its performances have been inspired by this legendary mirrorless camera and many of them taken to a completely new level by the ingenuity of the engineers at Fujifilm. 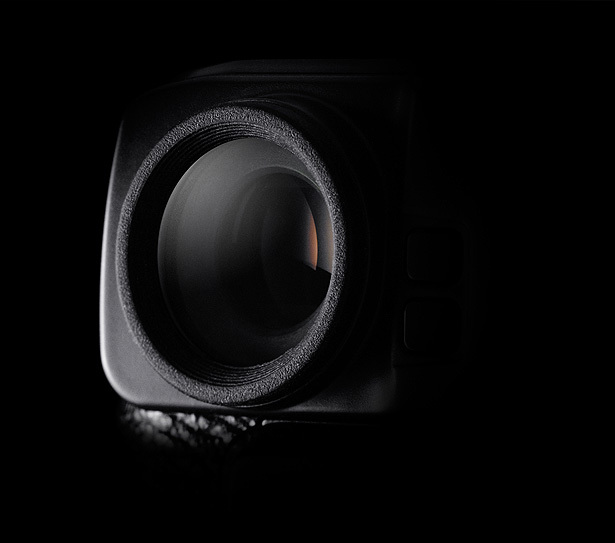 The new X-Trans APS-C CMOS sensor churns out an effective 16.3 megapixels. While the megapixels count is something that is not too exciting, the smart aspect about this sensor is the revamped proprietary color filter array. This is not the same as the standard Bayer array, just like any other of Fuji’s cameras and comes with the proprietary filter system developed by them. While the X-Trans CMOS continues to use the standard square pattern filter array as any other Fuji camera, it has been redesigned completely to ensure that it is less affected by color moiré. Color moiré is the unwanted pattern of colors (false colors) which are caused by patterns of close interweaved colors, the same type that we can see in a fabric. Most digital cameras with built in lenses and those which use separate lenses (interchangeable lens cameras) use an optical low pass filter to counter this. This while reducing the effects of false color, impacts the sharpness of the image. 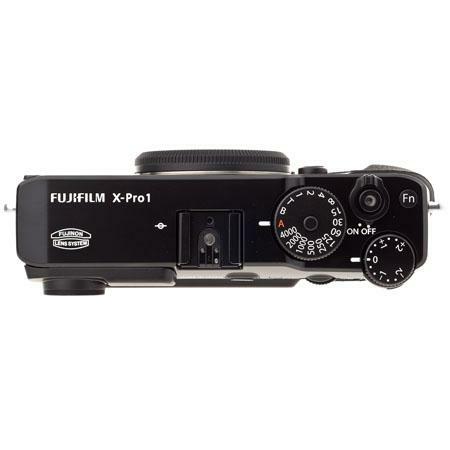 The new sensor design in the Fujifilm X-Pro 1 ensures that it can bypass this problem while eliminating the need for an optical low pass filter. In theory the new filter array and the removal of the OLPF means the camera should be able to capture more detail if we are to compare another camera with the same number of pixels. 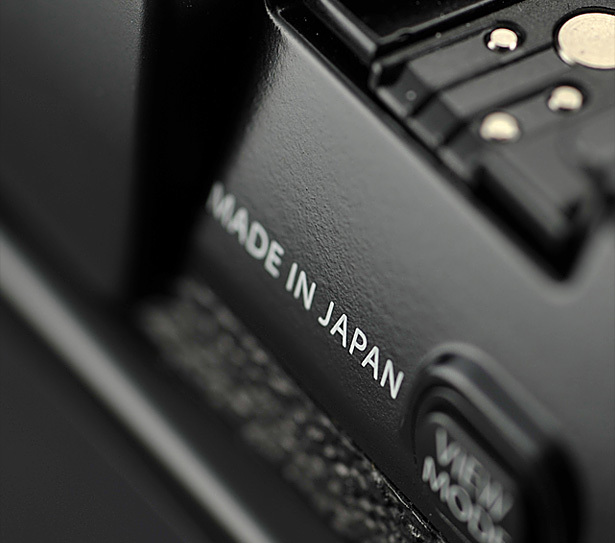 Fuji’s new X-Pro 1 camera comes with a new ‘X’ mount that has a very short distance from the flange to the sensor. This distance, also known as the ‘Flange Distance’ is only 17.7mm in the new camera. 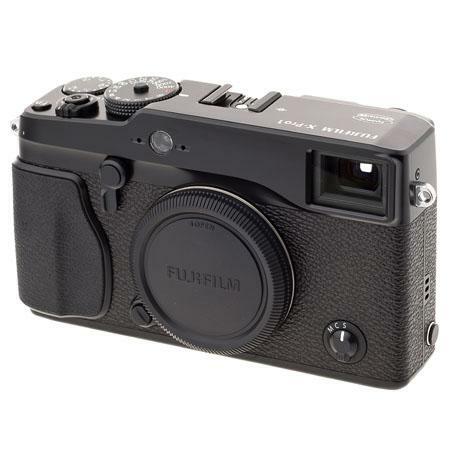 The Fujifilm X-Pro 1 inherits many of the features that the X100 came with including the optical / electronic hybrid viewfinder which gives dual magnification. The term Reverse Galilean with electronic graticules sounds like abracadabra for most amateurs (and even professional) photographers but this is what is behind this revolutionary hybrid VF technology. The viewfinder offers live histogram and a virtual horizon to level your shots (such as architecture and landscape) perfectly. Apart from that a host of other shooting information is also provided. Dual magnification means one can get the same optical field of view for an 18mm lens and then a 35mm lens when either of the two is mounted. Additionally the electronic viewfinder has a 1,440,000 dots resolution with approx 100% coverage. The 3” LCD monitor has a resolution of 1,230,000 dots and has 100% frame coverage. The X-Pro 1 has two continuous shooting speeds. At continuous low it shoots at 3 fps and at continuous high it shoots at 6 fps. 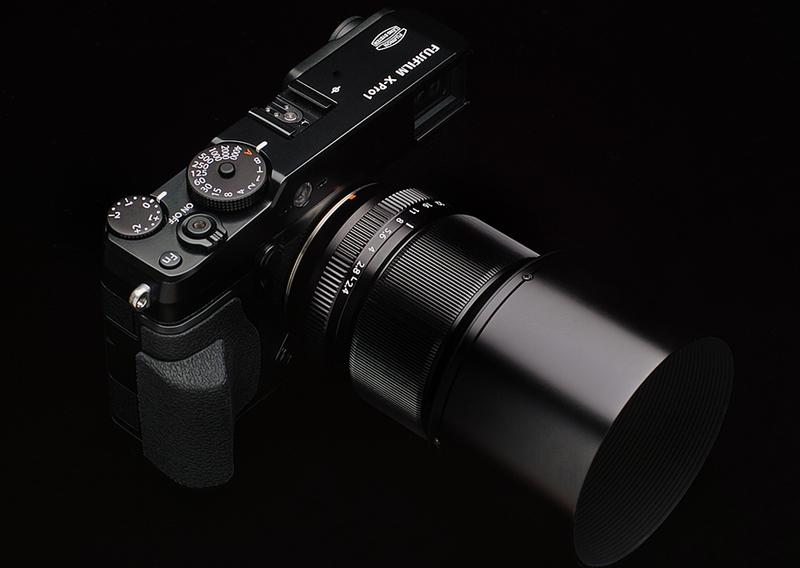 The Fujifilm X-Pro 1 shoots large JPEGs of resolution 4896 x 3264 pixels at 3:2 ratio. At 16:9 ratio it shoots at 4896 x 2760 pixels resolution. Additionally the X-Pro 1 also shoots full HD videos at 24 fps and 720p HD at 24 fps. Videos are recorded in MOV formats encoded by H.264 with stereo sound recorded from the built-in stereo mic. 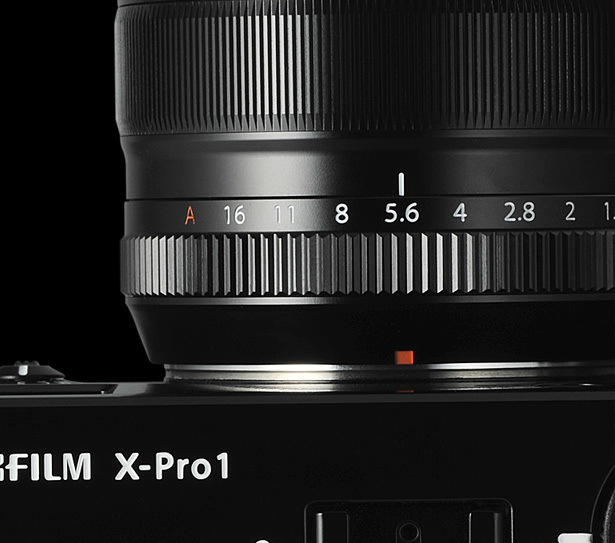 The X-Pro 1 has an auto-focusing feature that locks on focus rather slowly. This may just be one issue which makes the X-Pro 1 a bit frustrating for some one who also wields a professional DSLR. The new X-Trans CMOS sensor, although ensuring that the new X-Pro 1 is much faster than the older X100 that it replaces and even faster than the Leica M9 that it has been compared so often, is not blazingly fast as would imagine. However, continuous auto-focusing in movie mode & stills is a bit problematic. The X-Pro 1 does not have what it takes to successfully stay locked on when the subject is moving about. 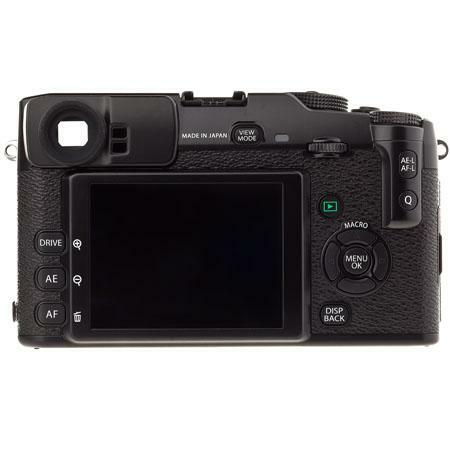 The X-Pro 1 uses a single memory card slot which supports SD, SDHC and SDXC memory cards. 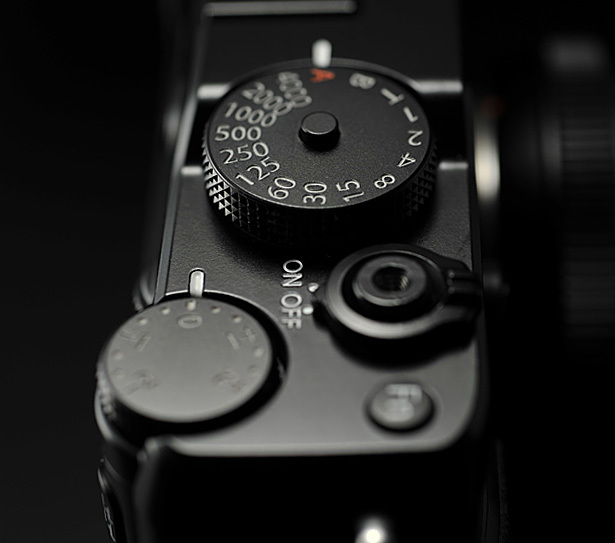 The ISO range of the X-Pro 1 is 200-6400. On an expanded mode it is 100-25,600. 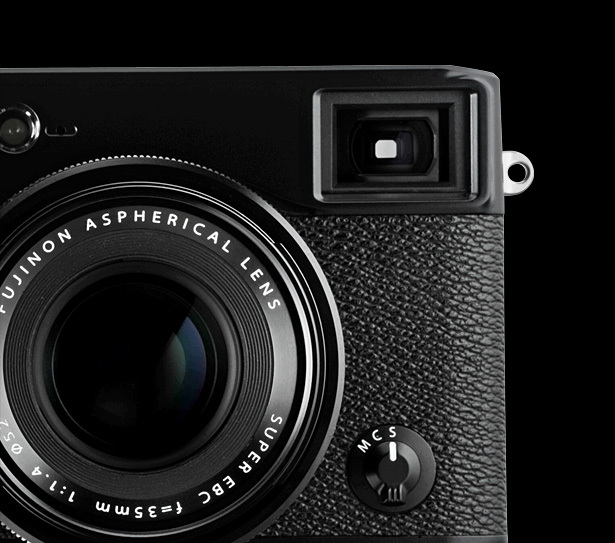 The X-Pro 1 has a noticeably better noise correction compared to some of its competitors in the market; specially the Leica M9. 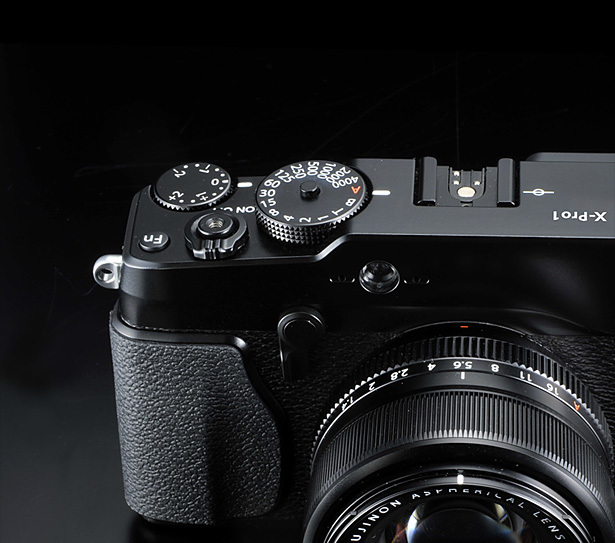 At higher ISO the shots captured by the X-Pro 1 are more usable compared to those captured by the Leica M9. The X-Pro 1 is a neat little camera, one that combines the best of two worlds. It has sharp image quality, extremely good low light performance and fast AF for stills. 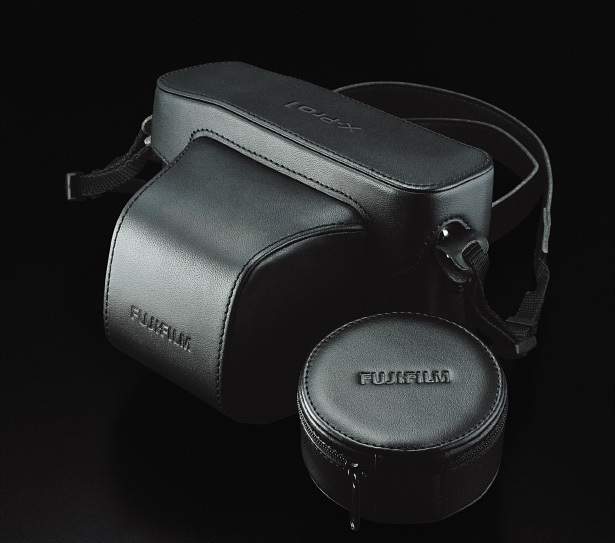 However we cannot but help wonder why Fujifilm did not think it was justified to have a pop-up flash for it. Even the older X100 has one and it is very good. 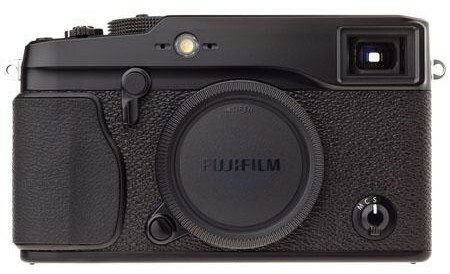 The Fujifilm X-Pro 1 has been frequently compared with the Leica M9 which has inspired many of its features starting with its rangefinder-style looks (except that it is not a range-finder but a MILC). However compared to the M9 the X-Pro 1 is much faster, has better low-light performance, locks focus faster and costs a good deal less. 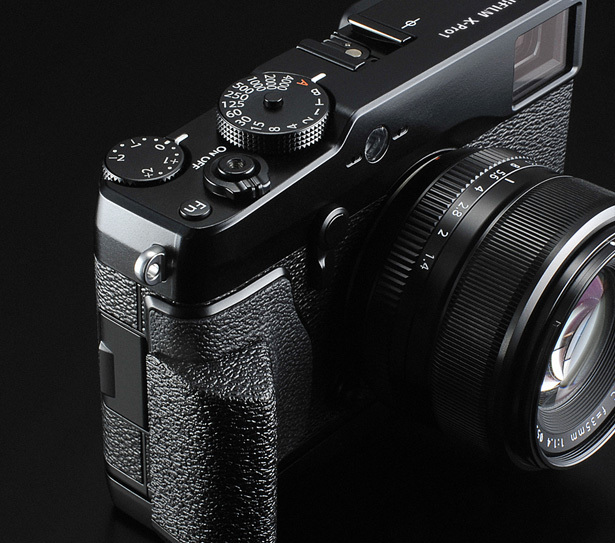 Fujifilm’s own X-E1 is another of the MILCs that one can look into. However while one can get a better pricing (nearly $700 less) one has to make do without the optical viewfinder. 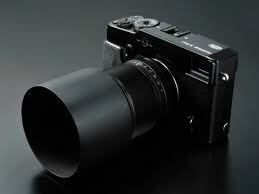 The X-Pro 1 is indiscreetly addressed to people who are not amateurs and more likely to already own a DSLR. This wonderful camera is aimed at people who want more control over their photography but not necessarily want to be consumed by the bulk of a DSLR. It combines the advantages of a compact light weight camera and the controls of a pro DSLR minus the weight. If you’re serious about your photography and want to have more control over what you’re shooting, the X-Pro 1 is indeed a great camera to invest in. The new X mount was launched with three lenses, the Fujinon XF 18mm f/2, the Fujinon XF 35mm f/1.4 and the Fujinon XF 60mm f/2.4 macro lens. Among these the 35mm f/1.4 is definitely a great buy with the X-Pro 1. * After updating into the firmmware ver 2.00, menu of “AUTO(6400)” is added. Time 2 to 30 sec. * 1/180 sec can be automatically set at some shooting conditions on P mode or A mode.